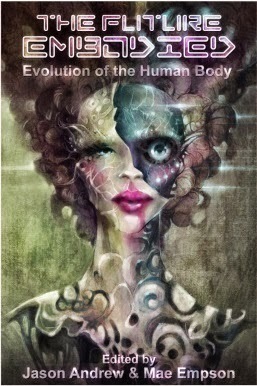 Today, I’m happy to share with you the cover for the The Future Embodied anthology, which I’m thrilled to have a story in. The artist is Galen Dara, who I had the pleasure of meeting at this year’s WorldCon where she won a Hugo award for best fan artist. And I think her work speaks for itself. For more updates about the anthology, keep your eye on the project’s blog. Cool cover and congrats on the story!